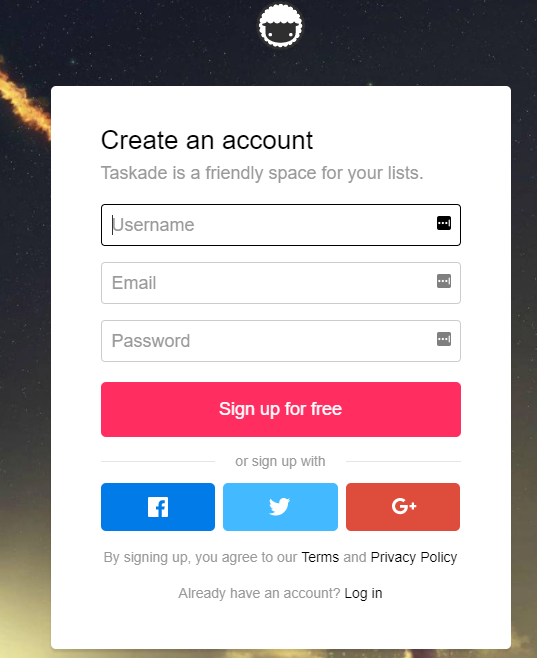 Taskade is a simple, intuitive and beautifully designed task management tool. It is a perfect fit for anyone looking for a simplified collaboration tool. It is also free to use. The importance of using a task management platform for seamless team collaboration cannot be overemphasized. 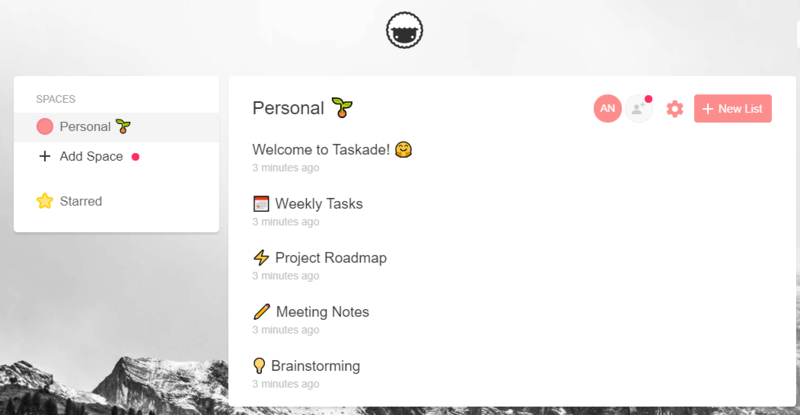 Today, there are dozens of task management platforms, but one interesting one is Taskade. 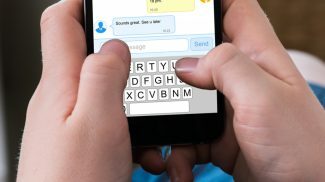 You might already be feeling swamped with the number of collaboration platforms that you have to keep in touch with, but Taskade is a little different. 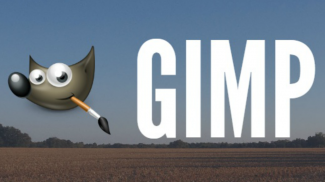 This online task management tool features a Chrome and Firefox Add-on and the company is expected to soon launch iOS and Android extensions. If you don’t like the idea of adding extensions, you can simply use the platform online. To get started, just choose Chrome Extension or Firefox Add-on or go to the company’s website and sign up at the top right corner of your screen. You can use your email details or you can use Twitter, Google Plus or Facebook to sign up. In its website description, Taskade describes the platform as clean, simple and beautifully designed with relaxing backgrounds and themes — and you will agree with them. Some of the most common online collaboration tools are complex and take a while to get used to but not so with Taskade. In fact, at first glance, you can almost tell how to use the platform. 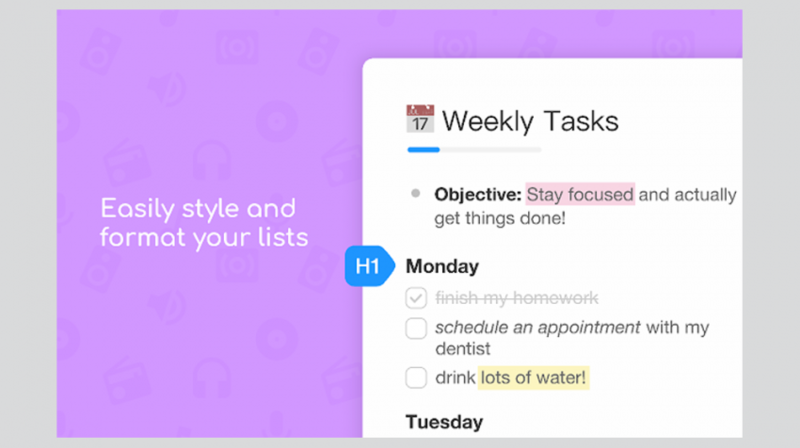 Use the platform to stay organized by capturing your daily and weekly tasks, goals and ideas. This feature is a literal soup-to-nuts project management tool within the task organizer. To start collaborating on a task, copy the provided link and send it to the person or team that you want to collaborate with via email, instant messaging platforms or any other platforms that you are most comfortable with. The tool doesn’t seem to send automatic notifications for new tasks. On the upside, however, your recipients don’t need to have accounts to be able to collaborate with you. They only need to sign up if they want to take more advantage of the platform’s features. A preset outline already exists so all you need to add is the attendees, agenda, notes, decisions and action items. And when done with the meeting, just click the share button on the top right and copy the link. The share button gives you a chance to choose whether you want the recipient to edit the shared item or view only. You also get a link that you can use to embed the shared notes or tasks. This online collaboration tool is free, but the company says it will soon have a paid Pro version that will come with additional features such as sticker packs and themes. Taskade is an intelligent tool. It is simple, performs as promised and makes collaboration a breeze. 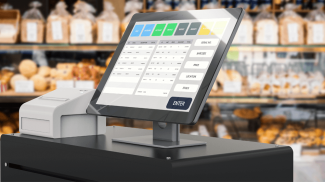 The company isn’t clear on the third party tools it can integrate with, but in the meantime, it is a great option for any business owner seeking a simple and easy to use task management platform.